People always ask me how much clothes I have as a fashion blogger. There are endless youtube videos of bloggers and their closets--some larger than my bedroom--and so it seems having a massive wardrobe is part of the job description. 1. You can breathe better | really. After I purged my closet for the first time, I felt like putting together looks became so much easier. 3. You can help others | clean out your closet to not only help yourself but others as well--donate everything you are not wearing to a local homeless shelter and help people who really need the clothes more than you. 5. More space | especially effective if you live in a smaller apt where space is an issue or just prefer a closet that is more aesthetically pleasing rather than stuffed & cramped. If you're having trouble purging your own wardrobe, let me know in the comments & I can put together a quick little guide in the coming days! Did I leave anything out? P.S. Hooray! I've finally bought a new phone on the black market in Rabat. 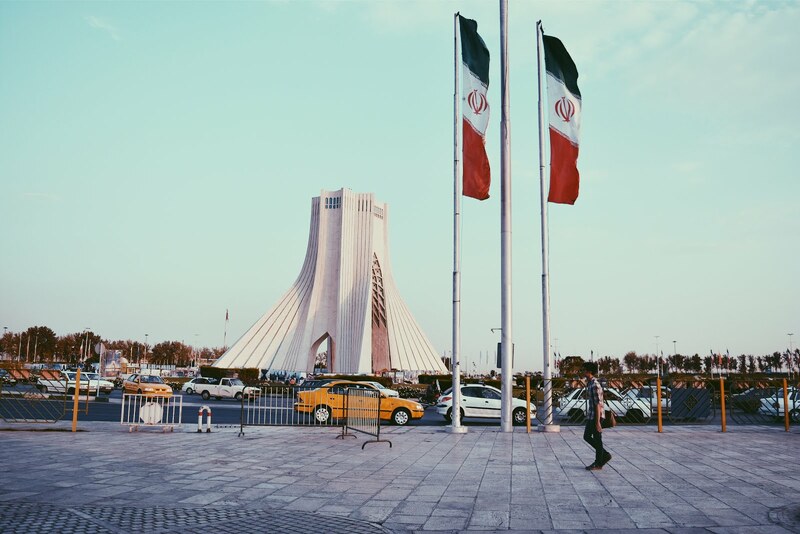 This means I'm back on Instagram and will be updating with my travels to Tangier, Morocco this weekend! Follow along, here! This post is part 1 of a series encouraging the transition to a minimal wardrobe—as in a wardrobe that is physically minimal (not the style) in order to limit our consumption, detach ourselves from material possessions, and live more socially-conscious lives. I'm a big believer less is more great tips. I definitely agree with this! Although I wouldn't say that my wardrobe is exactly minimal, I have switched from quantity to quality buying over the past few years. And I've also gotten better at donating the things I just don't wear. I'd still love to see your guide on this though. Have a wonderful trip! I'm trying! I cleaned out my closet at the beginning of January and got rid of half my stuff to donate. You're absolutely right about becoming more conscious of consumerism when you own less -- I haven't had the urge to buy new clothes since I whittled my wardrobe, it's the strangest thing. True! I've recently done a massive closet cleanup as I'm also packing up to leave for another country. You realize that you really don't need that much clothes. Love this post! I used to have soo many unnecessary clothes, it was getting ridiculous. My sister has benefited greatly, she gets my clothes all the time, some even have tags on it! I need to do this. I have so many clothes going to waste in my wardrobe just sitting there for the moths to eat! I also wonder how fashion bloggers manage to organize their clothes and how much they have that they only wear once. Personally I am in favour of having less and I clear my wardrobe several times a year. These are all great reasons to opt for a minimal wardrobe! Quality over quantity any day ! 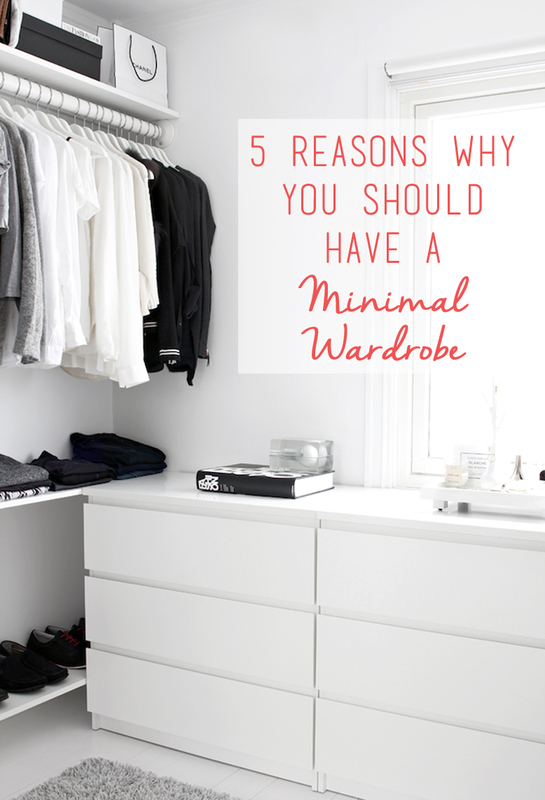 nice post, i love having a minimal wardrobe! This is a really great post. I've been recently sifting through my closet and have begun to get rid of the things I have that are so worn out to the point of disrepair, or I just haven't worn in years. Reading your post means I'm on the right track. Absolutely agree! i really do that to have a minimal wardrobe.